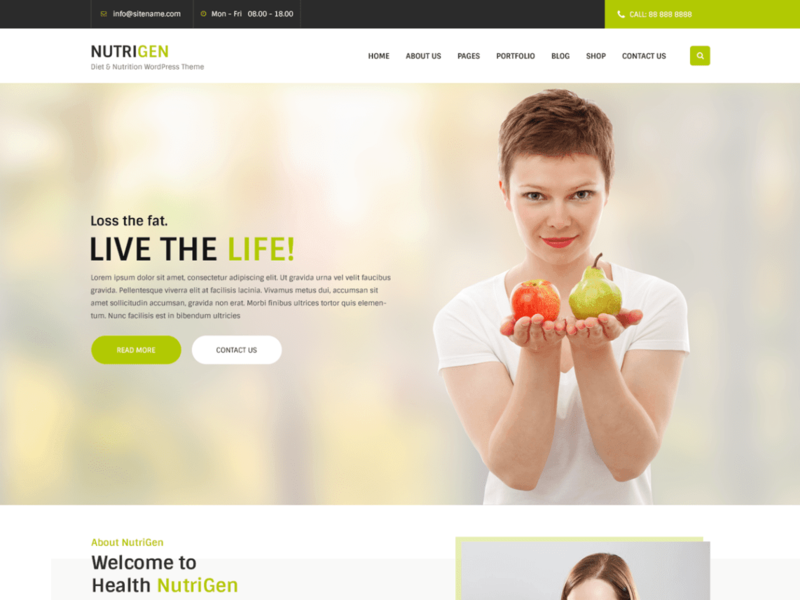 The Nutrigen lite WordPress theme specially crafted for health center, fitness, diet and nutrition. WordPress themes developer develop industries wise themes, like some from healthcare, educational and many more, just like that there are diet and nutrition WordPress themes, come with few options in customizer basically, developing for professional Nutrition doctors, fitness freaks etc. This is theme is fully responsive and compatible with the latest version of WordPress. This theme is working well with the plugins like woocommerce, jetpack and contact form 7.